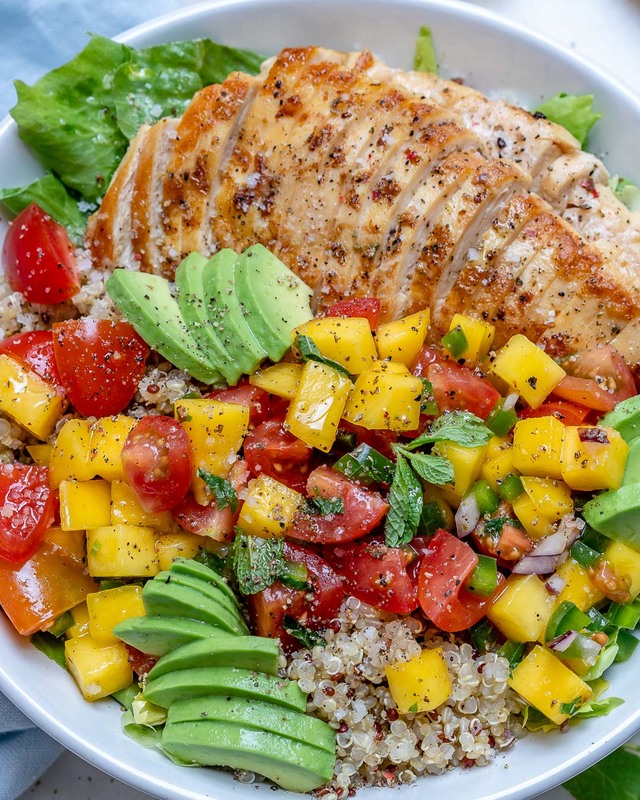 Eat Clean with these Healthy Mango Salsa Chicken Bowls! Raise your hand if you’re dreaming about long SUN-shiny days of Summer?! 🙋‍♀️ ME. Since we’re not quite there yet, and there’s no island vacations in my near future (hopefully there is in YOURS! 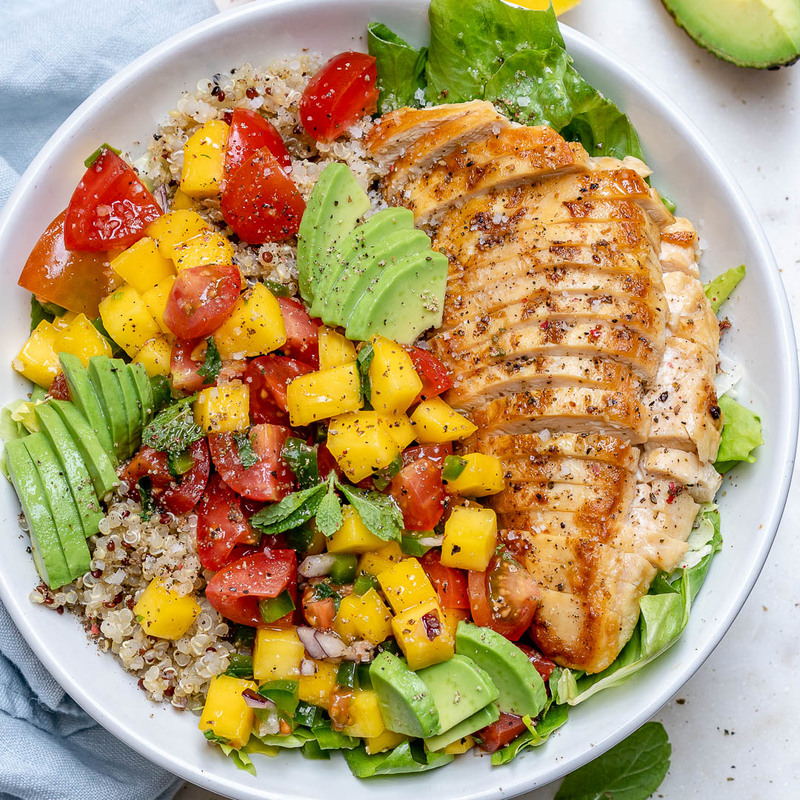 ), WE CAN make these bright Mango Salsa + Chicken Bowls. 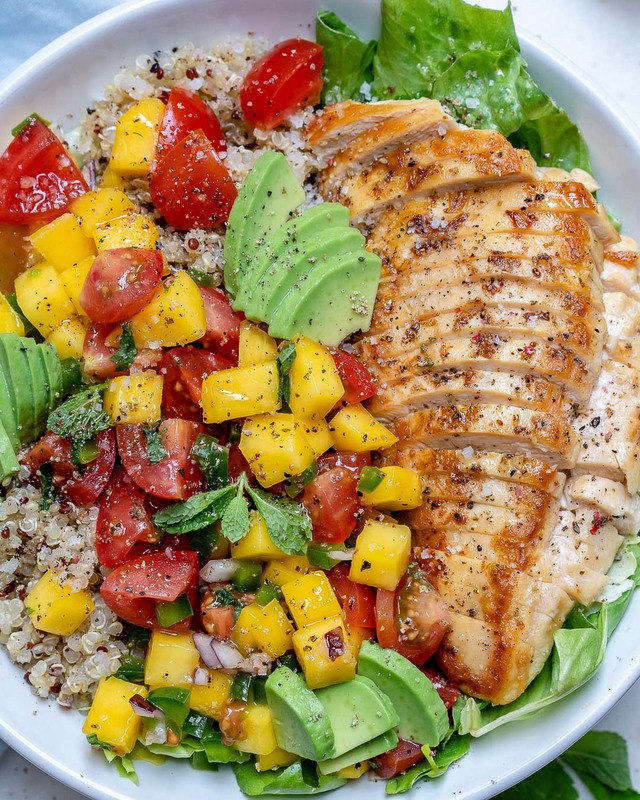 ABSOLUTELY guaranteed to brighten up our dinner-game, and moods tonight! 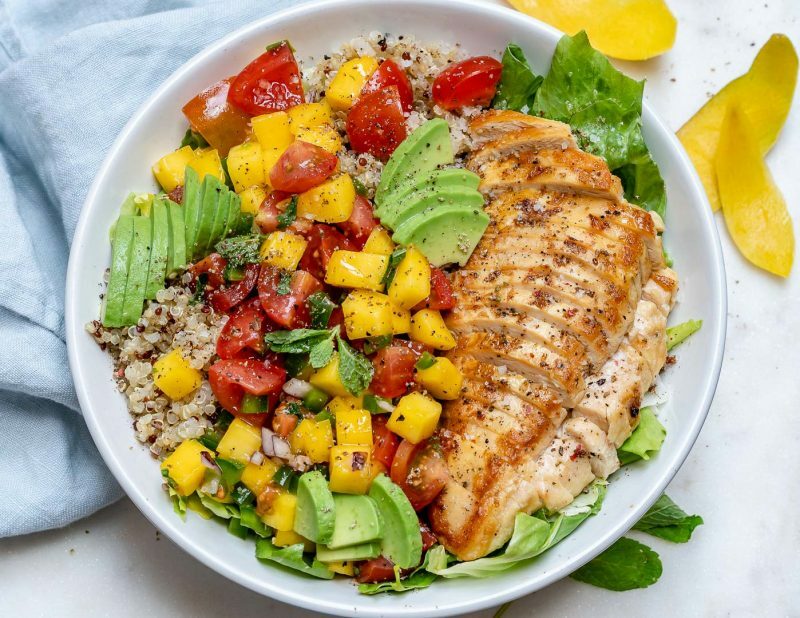 🌞 Mango is low in calories yet high in nutrients — especially vitamin C, which aids immunity, and iron absorption among other benefits! 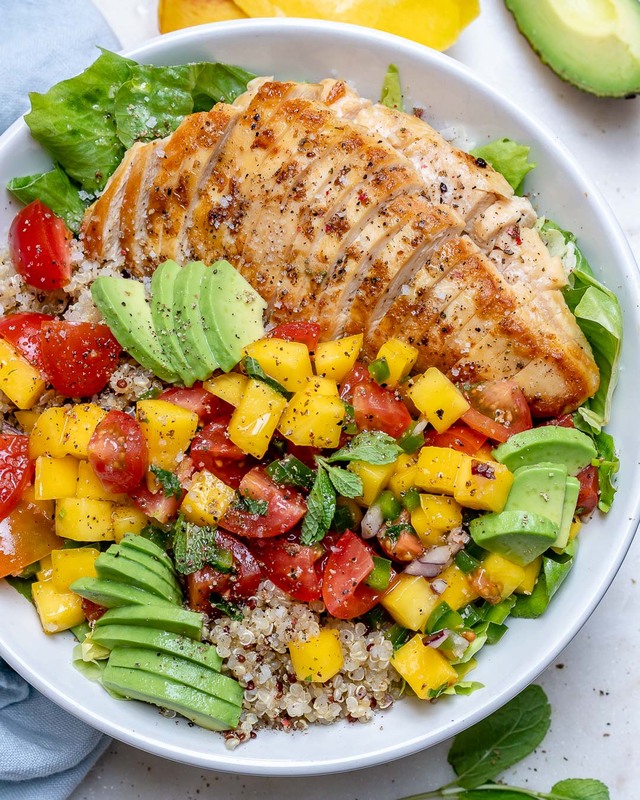 Mango also contains several qualities that make it excellent for digestive health, because of the digestive enzymes it contains that help to break down food. Mango contains lots of water, and dietary fiber – all very necessary for healthy digestion. Mango is also high in antioxidants. The full recipe card is below! 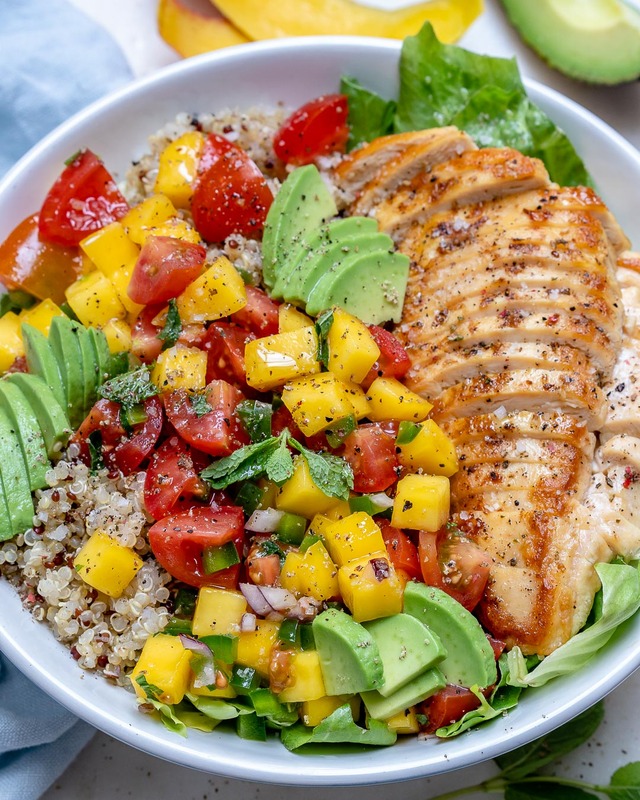 Enjoy and remember to tag me @CleanFoodCrush in your creations! Season chicken breast with sea salt and pepper on both sides. Heat 1 tablespoon of your oil in a large skillet over medium high heat. Add chicken and cook until golden brown on both sides and no longer pink in the center, 4-5 minutes per side. Set meat aside on a cutting board, covered, to rest for 5 minutes, then slice it against the grain. 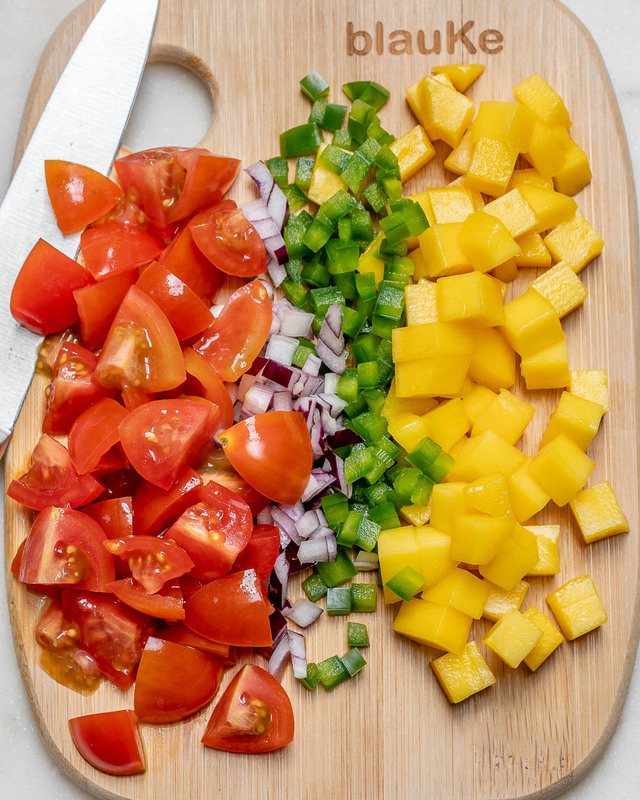 Meanwhile, in a small bowl combine all mango salsa ingredients, gently stir. 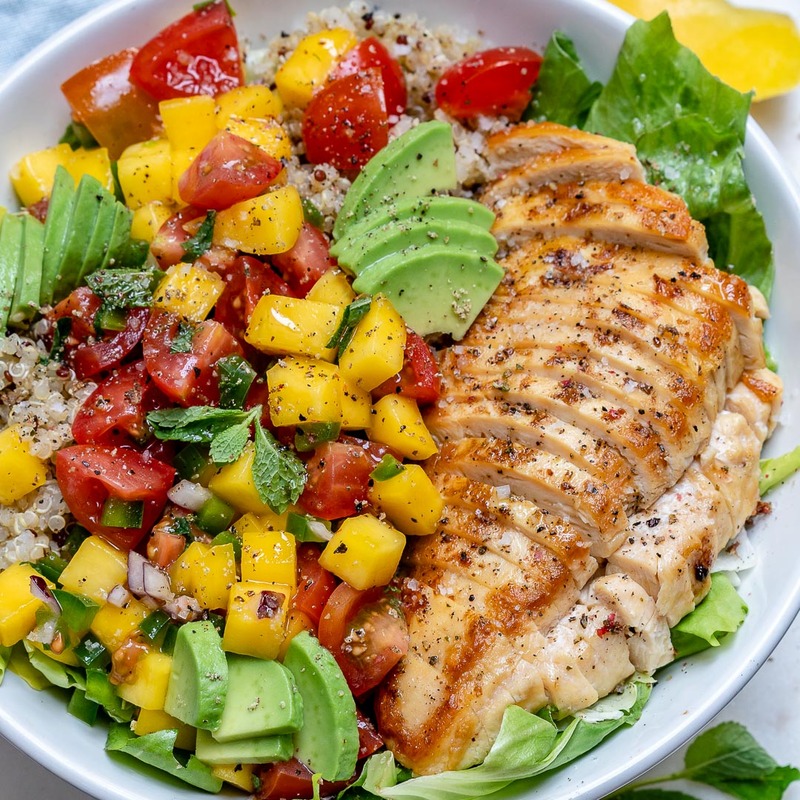 To assemble your bowls, divide the salad greens between 2 bowls, then top each equally with cooked quinoa or rice, sliced chicken, avocado and mango salsa. Drizzle each with a bit of oil and fresh lime juice, then ENJOY!